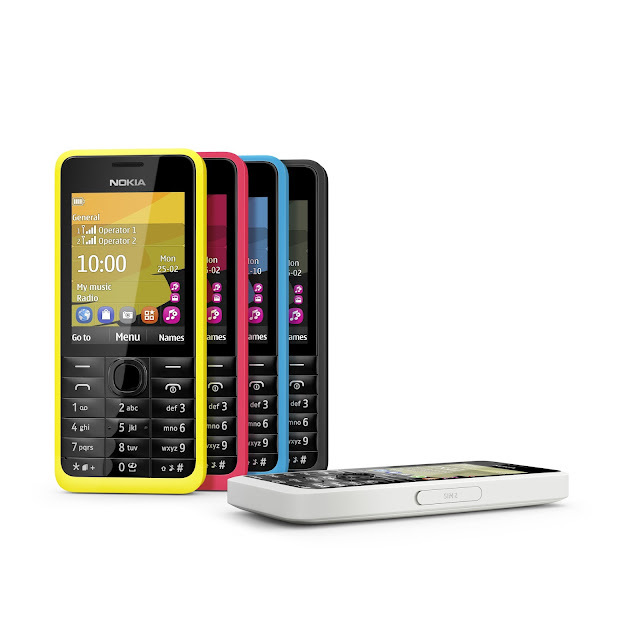 Built to last with authentic Nokia quality inside and out, the Nokia 105 features a 1.45"" colour screen, a one-piece keypad that's dust- and splash-proof and a battery that lasts up to 35 days. Featuring Nokia Life* for advice on living and learning, it also includes a speaking clock, five alarms, flashlight, pre-loaded games and an FM radio. All encased in a distinctive Nokia design at an affordable price point. *Available in India, China, Indonesia & Nigeria. Screen images are simulated and some sequences shortened. 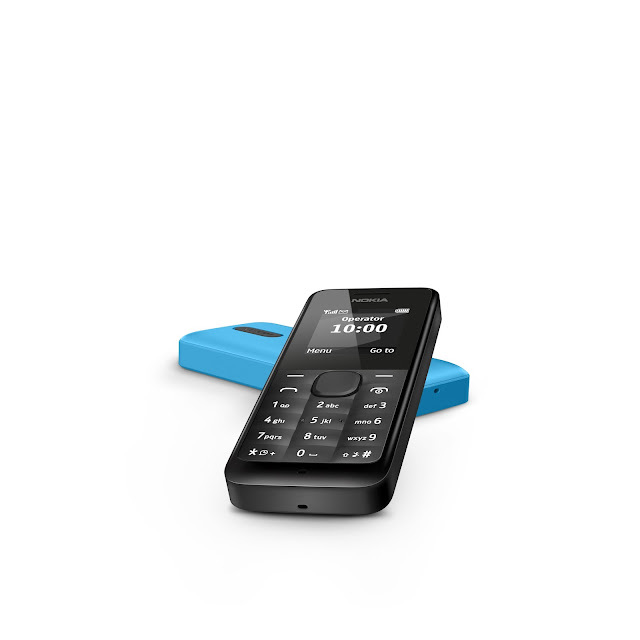 The Nokia 301 is 3.5G HSPA capable phone with a 2.4" screen and pillowed key mat. Enjoy more Internet with Nokia Xpress Browser, including video streaming from YouTube, Mail for Exchange support for secure corporate email on the go, in addition to popular email such as Yahoo!, Gmail and Hotmail, and dedicated Facebook and Twitter apps. Smart camera features such as a voice-guided self-portrait mode, panorama and sequential shooting take advantage of the 3.2 megapixel camera. HD voice ready means crystal-clear audio quality when making calls.